NAIROBI/HARARE, Jan 17 2014 (IPS) - With its two-trillion-dollar economy, recent discoveries of billions of dollars worth of minerals and oil, and the number of investment opportunities it has to offer global players, Africa is slowly shedding its image as a development burden. “While global direct investment has shown some decline, dropping by 18 percent in 2012, in Africa foreign direct investment rose by five percent,” Ken Ogwang, an economic expert affiliated with the Kenya Private Sector Alliance (KEPSA), which has a membership of over 60 businesses, told IPS. Since 2012, Kenya has made a series of mineral discoveries, including unearthing 62.4 billion dollars worth of Niobium – a rare earth deposit. The discovery in Kenya’s Kwale County has made the area among the world’s top five rare earth deposits sites, and allows Kenya to enter a market that has long been dominated by China. In 2012, Kenya discovered 600 million barrels of oil reserves in Turkana county, one of the country’s poorest regions. It was announced on Jan. 15 that two more wells struck oil, increasing estimate reserves to one billion barrels of oil. But Kenya, East Africa’s economic powerhouse, is not the only African nation that has made fresh mineral discoveries. 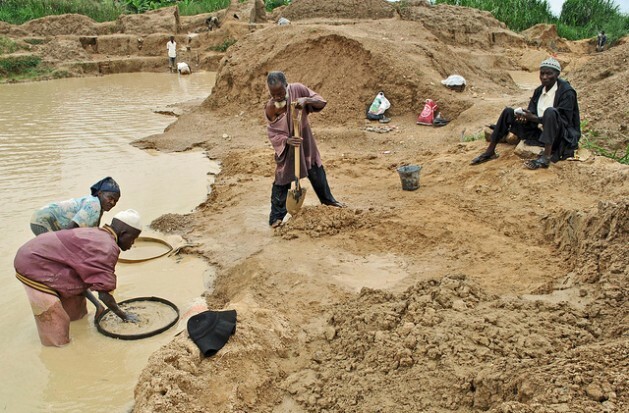 “The recent boom in new mining discoveries in countries such as Niger, Sierra Leone and Zambia will attract billions in foreign direct investments. Other countries like Mozambique, Tanzania and Uganda will similarly attract billions due to petroleum discoveries there,” Antony Mokaya of the Kenya Land Alliance, a local umbrella network of NGOs and individuals working on land reforms, told IPS. Last year, both Uganda and Mozambique discovered oil. In 2006, an estimated two billion barrels of oil reserves were discovered in western Uganda, but last year’s discovery brings Uganda’s total oil deposits to 3.5 billion barrels. Mozambique’s first oil discovery last year is estimated to be 200 million barrels. Ogwang predicts that these discoveries will soon see African countries dominating the list of the 15 fastest-growing economies in the world. “More African countries, Kenya being a model example in East Africa, now favour a market-based economy, which is highly competitive and the most liberal economic system. “In this system, market trends are driven by supply and demand with very few restrictions on who the actors are. [It is] a favourable environment for foreign investors,” he said, referring to the local mobile phone industry, which has been dominated by foreign investors because of its favourable regulatory policies. Ogwang says that even more importantly, African countries are increasingly strengthening their partnerships with the East. Statistics by the Africa Economic Outlook, which provides comprehensive data on Africa economies, show that China is the largest destination for African exports, accounting for a quarter of all exports. Trade with Brazil, Russia, India and China – the economic bloc referred to as BRICs – now accounts for 36 percent or 144 billion dollars of Africa’s exports, up from only nine percent in 2002. In comparison, Africa’s trade with the European Union and the United States combined totals 148 billion dollars. But Terry Mutsvanga, director of the Coalition Against Corruption, an anti-corruption lobby group in Zimbabwe, cautioned that Africa will first have to rein in its corrupt politicians before its resources can enrich its own people. According to the World Bank, some of the world’s poorest people live in Africa, with one out of two Africans living in extreme poverty. “Without Africa dealing with the cancer of political corruption blighting the continent and robbing it of revenue from mineral resources through corrupt politicians receiving bribes from investors … the continent shall [continue to have] the worst poverty levels globally,” Mutsvanga told IPS. Independent economic analyst Jameson Gatawa from Zimbabwe agreed. “Underhanded dealings in the mining of diamonds and other rich minerals here have fuelled poverty. The rich are getting richer with the poor becoming poorer,” Gatawa told IPS. For 54-year-old Sarudzai Mutavara, a widow who lives in the midst of Zimbabwe’s Marange diamond fields, poverty remains a daily reality. Zimbabwe is one of the world’s top 10 diamond producers. But six out of every 10 households in Zimbabwe, a country of about 13 million people, are living in dire poverty. This is according to a 2013 poverty assessment report by the Zimbabwe National Statistics Agency. “Here in Marange, the diamond wealth has not [helped] in any way to change our lives for the better, but rather for the worse as we have strayed further into poverty,” Mutavara told IPS. The Democratic Republic of Congo (DRC) is another African country rich in diamonds, with its mineral wealth estimated in the trillions of dollars. But according to the United Nations, about 75 percent of its people live below the poverty line. More than half of these have no access to drinking water or to basic healthcare. Three out of every 10 children are poorly nourished, with up to 20 percent of them predicted to die by the age of five. While Ogwang says Africa’s best economic years are yet to come, it remains to be seen if the billions of dollars Africa has in natural resources will trickle down to people like Mutavara. Where are the voices behind the statistics? Tell us about checks and balances, about civil society or private organisations that are challenging or changing the dynamics. This is a regurgitation of the same tropes. And an acceptance of neo-Keynsian economics that are largely discredited. The overall analytical theme is right- the inequalities between rich and poor are too huge. The corruption, lack of transparency and the lack of trickle down of wealth is a huge problem, but tell us something new. This is not a story. It’s a re-invigoration of a stale tale. So what? These people have to learn for themselves how to prosper. The world will have to do trade so they learn it is not easy as human civilizations go this is standard operating procedure. And it’s precisely I am SO concerned about the sort of situations described in this piece that we absolutely MUST demand better journalism…. be savvy to the fact that our audiences are bored of too many numbers, stereotypes, lazy reportage, only hearing from the experts, or ‘poor me’ stories. I am a journalist- I am let down by this piece. Interesting response. But I don’t understand. What would you have liked to see in a report on this topic? I think the article does very well in explaining the economic dynamics peculiar to Africa, and how those dynamics suit its increase of wealth. It also does very well in explaining the facts on the ground. Too bad it didn’t report events that would make you happy. I suggest you read more about Africa and seek out the kind of news that you would rather receive. When you find it, post it at the end of an article so more of us can learn about it. “I suggest you read more about Africa” Truth Rat- or Jonathon Moyo- you literally make me despair…. when oh when will people like you get over themselves and actually try and LEARN and improve. Sure, read, research, listen to the experts, and then go out in to the field and ask people… this is essential. This piece seems to have been culled from the internet largely…And try not be defensive, smug and everything we journalists are despised for…but you know what, I need to WORK and not get caught up in this negative waste of time. Good luck! Tupopamoja, lakhini…. ngumu kidogo. I wish African country’s would one eliminate the terrorist groups within the continents that dual civil wars. Two remove all the European own commodities. Three stop paying Europe tribute for colonism. Four focus on trading amongst them selves. Six coming together to find solutions for poverty.